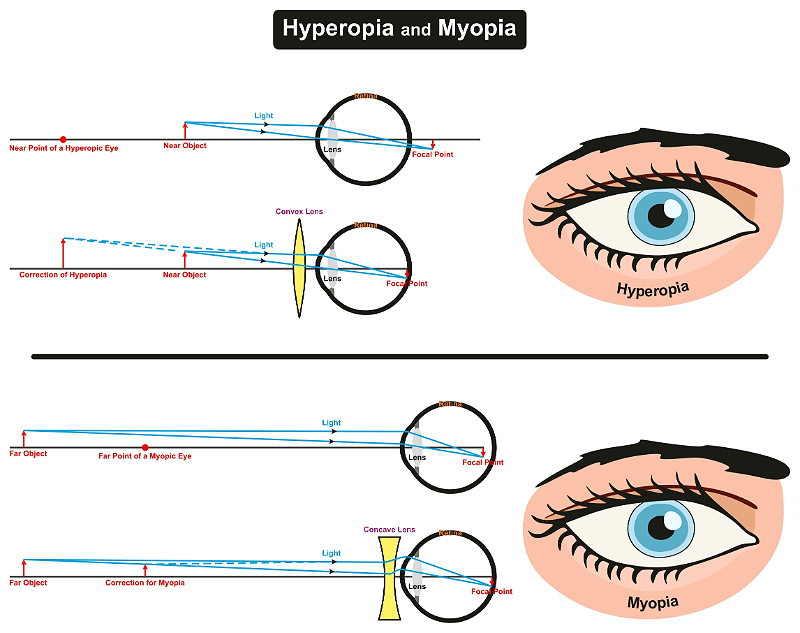 Home » Posts » Blogs » Myopia Surgery – What Are Your Options? With the world currently experiencing a myopia boom, more and more people are seeking to find out what their treatment options might be. Our addiction to technological devices and a lack of outdoor exposure as a child are both significantly increasing the incidence of short-sightedness. Luckily, science has evolved and provided us with a number of effective treatment methods. Patients can now choose between temporary or permanent myopia correction – a big improvement from the situation just 25 years ago, meaning better long-distance vision is within your grasp. Here is our guide to myopia treatments and the surgery options available. While some people may think that myopia is a minor condition, in reality it can have a significant impact on your lifestyle. It may mean that you cannot work in a profession that needs good eyesight, or it could limit your sporting abilities. Traditionally, spectacles were the go-to treatment and many people still treat their myopia in this way. However, it can lower self-esteem – science shows that glasses reduce perceived facial attractiveness. Overnight lenses are especially prone to bacterial and fungal growth, but if you wear daily lenses, clean your lens case regularly, and practice good hygiene, it is likely most of these issues can be avoided. For those wanting hassle-free visual improvement, there are 2 types of myopia surgery – Laser Vision Correction and Implantable Contact Lenses. In the late 1990’s laser eye surgery became widespread, and now has a good amount of long-term safety information available. 98.5% of patients are proven to be satisfied with the results of LASIK surgery (the most used laser technique), and at AVC we are proud that 99% of our patients achieve driving standard eyesight. Industry-wide, minor complications occur in less than 5% of cases, and this figure is much improved at leading laser clinics. Usually, any issues can be resolved over time with further medical aftercare. 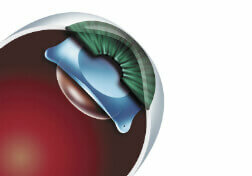 A more modern development has been the introduction of permanently implanted contact lenses. These lenses bend light rays onto the retina in much the same way as a temporary contact lens, but have none of the daily maintenance, hassle, or infection risk. In addition, a separate study showed that they were safer and more effective than laser surgery for the correction of low myopia too! For children and young adults, eye drops containing atropine can dramatically slow down the rate of myopic decline, and prevent the condition reaching a surgical stage. Unfortunately, atropine is not licensed in the UK and is unproven in adults. Long-term safety data is also lacking, meaning it may be a long time before it is becomes available here. For adults wanting fast, effective and safe myopia correction, we recommend laser eye surgery or implantable contact lenses to our patients.